FILL OUT AMALIA’S SURVEY and provide valuable feedback about how to get this publication in your hands. By filling out the survey you enter to win TWO FREE TICKETS to the Methow Arts event Nomadic Massive on February 1st. 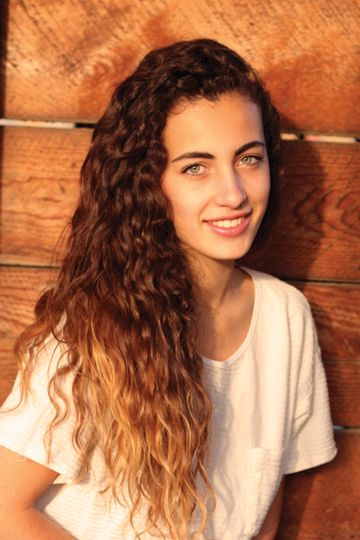 Amalia Webber is a Senior at Liberty Bell High School in the Methow Valley and a Methow Arts Alliance intern in Twisp. Here she talks with us about her new endeavor to design and publish “the Yawp”, a Literary and Visual Art Journal of local high school students’ works. The first publication will hit stand in January at the latest with two more to follow. Q. So, you’ll be publishing a Literary and Art Journal named the Yawp at Liberty Bell High School? How did this project come about? And why is called the Yawp? A: I first thought of creating a magazine when coming up with ideas for my senior project. I knew I wanted to do something no one had done before and I wanted it to be creative. One day I was brainstorming with my friend Patti Watson, and we both agreed that we knew who the “theater kids” or “music kids” were in our school, but we didn’t know who the talented writers or artists were. So, from here we decided to create a magazine specifically for visual and literary art in order to give our classmates more exposure. 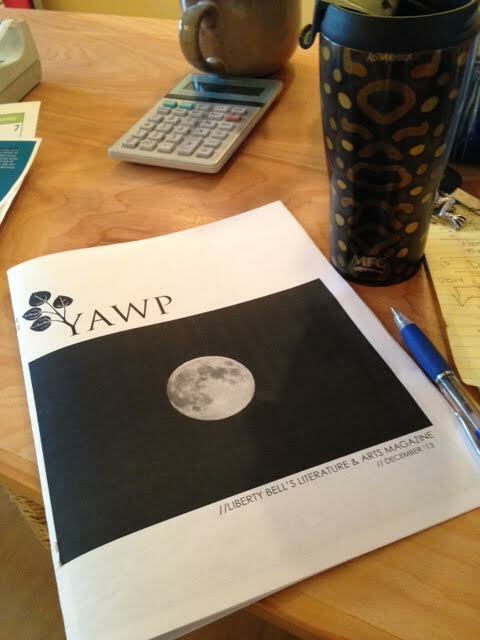 Our project advisor, Adam Kaufman came up with the name “The Yawp”. It is a reference to the poem “Song of Myself” by Walt Whitman where he writes “I sound my barbaric yawp over the rooftops of the world.” It’s a metaphor for artistic expression. Q. How is the project organized? Who is doing the work finding, selecting and placing the artwork? A: I am the editor for the art portion of the magazine, while Patti is the editor for the literary portion. Together we collect work by talking to teachers and reaching out to students from 7th – 12th grade. Once they submit, we go through all the submissions together and select which ones to publish. Q. Why did you choose to get involved in this project? A: I’m interested in magazine layout and design as a career, so this is giving me a chance to explore that before college, while also doing something I think could make a real difference. I know how great it feels to be recognized for performing arts so I hope more writers and visual artists will start to get the same recognition. Q. What will make this project different/interesting? A: As editors we’re trying to be creative in how we curate and select the work. We’re not just tossing down poems, paintings, and short stories on a page, but we’re trying to give the magazine a cohesive design. This is also the only student run publication in the community, which makes reading a bit more intimate. Q. How can we get our hands on it and when? How often? A: You’ll be able to find The Yawp at Rocking Horse Bakery, Twisp Works, Confluence Gallery, Methow Arts, Liberty Bell High School and other locations. We’re hoping to publish 3 issues- one in December, March, and June. Q. Will it be online or is it just printed? A: Right now the magazine will just be in print, but if we find that people would prefer to see it online, we might switch to an online magazine or blog. Q. Can the community subscribe or have it delivered in their mailbox? A: Yes! Details will be coming later and posted on The Yawp’s Facebook page. Look for more information or contact us at Methow Arts, 509.997.4004, info@methowartsalliance.org.